... see EPICS DIM interface for further information. Based upon the existing EPICS DIM interface several data structures provided by DABC (Data Acquisition Backbone Core) transporting values together with additional attributes, similar to EPICS records, via the transport mechanisms of DIM should be able to be accessed from EPICS via an extension to the above mentioned original interface. ... see DABC extension to the EPICS DIM interface for further information. 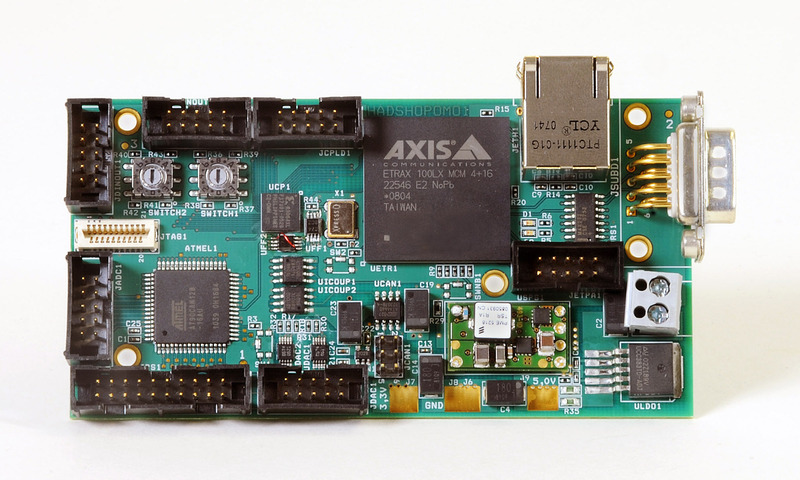 The HADCon(trol) general purpose board provides access to many external interfaces and devices. This section is about interconnecting those with the EPICS technology. 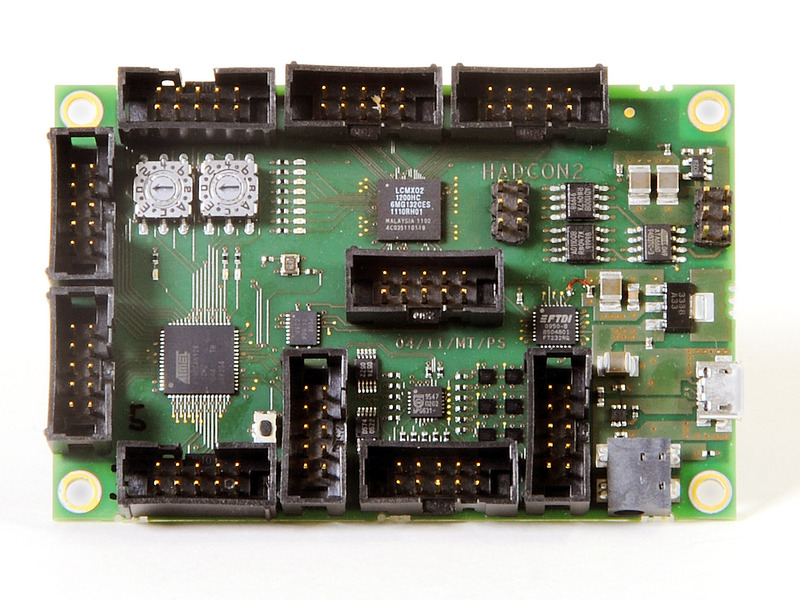 The HADControl general purpose board provides access to many external interfaces and devices. The task is to replace the already running ansatz of the HADES MDC Gas Monitor temperature measurement by a pure EPICS based design. The objective of this project is the implementation of a software on the HADCon(trol) board's AVR micro controller. This software enables the control of AVR micro controller's CANbus Interface using an (ASCII based) Application Programming Interface (API). Integrated via streamDevice driver into EPICS the control of CANbus devices will be possible within EPICS. There is a request of HADES to be able to integrate readings from the control system of their cryo system control into the EPICS control system of HADES Maybe, in a second step, also changing of values is of interest. Right now the system runs a PLC on an ABB SattCon 200 system, which can be accessed by a Windows based control PC, via the ABB Automation PC-based programming tool DOX 10. Meanwhile the project became more detailed, since CBM showed interest to have a RICH mirror setup motor controlled. This setup requires to have 2 servo motors with a gear reduction to tilt a gimbal mounted planar mirror element (400 mm × 400 mm) in 2 directions. It is foreseen to use this setup during CBM's next test beam time. Until the ordered parts have arrived, we could use spare equipment of TASCA to develop and test. Thank you.